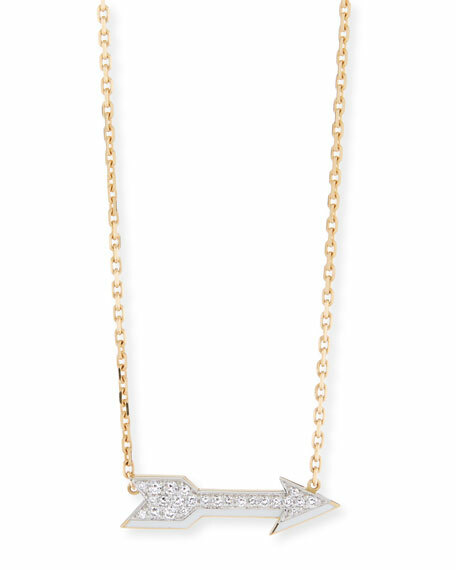 David Webb pendant necklace from the Motif Collection. 18-karat yellow gold cable chain. 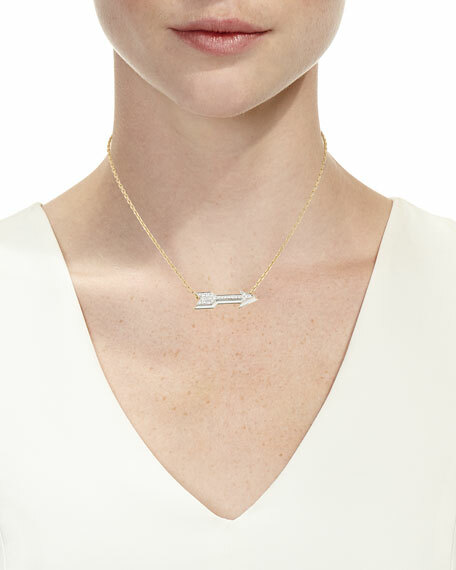 Integrated, arrow-shaped pendant with white enamel. Brilliant-cut white diamonds set in platinum. 0.8 total diamond carat weight. Founded in New York City in 1948, David Webb is an iconic luxury house that has consistently redefined fine jewelry with its bold and unique designs. Signature animal pieces, hand-hammered gold work, colorful enamel, carved crystal, and the unique use of opaque gems distinguish David Webb jewels, which are highly sought by leading tastemakers and style icons. Drawing inspiration from a vast archive of over 40,000 original renderings, records, and design ideas, each original piece is expertly handcrafted by long-tenured master jewelers in the David Webb workshop, which sits above the flagship boutique on New York's Upper East Side.